So far I’ve killed about twenty-eight people, although it’s hard to be completely sure without digging up the bodies and doing a head count. I have shot, drowned, electrocuted, blown-up, beaten, stabbed, incinerated, strangled, smothered and tortured victims. Some were innocent, others got exactly what they deserved. Don’t think for a moment that my psychological thrillers are steeped in mayhem and violence. I don’t write about serial killers who bathe in gore, or who scoff body parts with fava beans and chianti. Instead I write the sort of stories that make you jump when the phone rings, or check that you’ve locked the doors, or only read in the daylight. As a crime writer I’m under constant pressure to keep the bodies coming and normally only murders will suffice because no other crime is so final. You cannot make recompense for killing someone. There is no eye for an eye. There is no taking it back. Which begs the question: Have you ever fantasised about killing someone? Be honest now. What about that speeding driver who cuts you off in traffic and almost causes an accident? Surely you wouldn’t mind seeing him go under a truck. What about your bullying boss, who makes you work ridiculous hours or claims the credit for your suggestions? Haven’t you ever pictured yourself slipping anti-freeze into his smoothie? What about when your husband or wife gets on your nerves, refusing to admit their wrong or belittling your efforts? Just for a moment, haven’t you thought about nudging them under a bus, or pushing them down the stairs? In separate studies, two psychologists Douglas Kenrick and David Buss asked people if they have ever fantasised about killing someone. The demographic they chose (university students) had exceptionally low rates of violence, yet between 70 and 90 per cent of the men, and between 50 and 80 per cent of the women, admitted to having at least one homicidal fantasy in the preceding year. These were just fantasies of course, but it does make you wonder. I have homicidal fantasies on a weekly basis. I get to kill people for a living, which is far more satisfying than squeezing a stress ball or twiddling worry beads. Before I married I would despatch my ex-girlfriends. Now I get rid of lanky teenage boys who take my daughters to the formal and dump them before the end of the night. The brilliant Irish crime writer John Connolly has been known to kill off people who talk too loudly on their mobile phones, or who are rude to waitresses. I’ve killed bigots, sexists and homophobes, which can be particularly satisfying. Sadly, some of my victims are blameless and my heart bleeds for them. 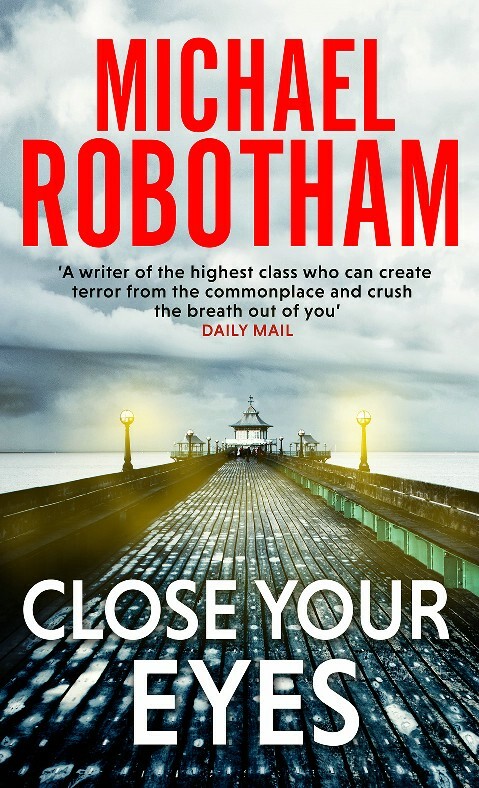 In my newest novel CLOSE YOUR EYES a mother and her teenage daughter are found dead in a remote Somerset farmhouse - one of them eviscerated in a Ripper-like fashion on the sitting room floor, while the other is left lying like Sleeping Beauty in her bed, surrounded by stuffed toys. In the pages that follow, there are more victims – men and woman who are choked unconscious and have the letter ‘A’ is carved into their foreheads. The question for my hero, clinical psychologist Joe O’Loughlin is whether these an acts of hatred or revenge. Are victims being targeted for what they’re done, or what they represent? There will be bodies, there will be tears, there will be justice and there will be hope because the pen is mightier and deadlier than the sword. CLOSE YOUR EYES (Sphere) is available in paperback on September 22, 2016. via Amazon online and all good book shops. Thank You to the publishers who kindly who invited me to take part in this blog tour and to Michael for giving up his time to write the guest post.